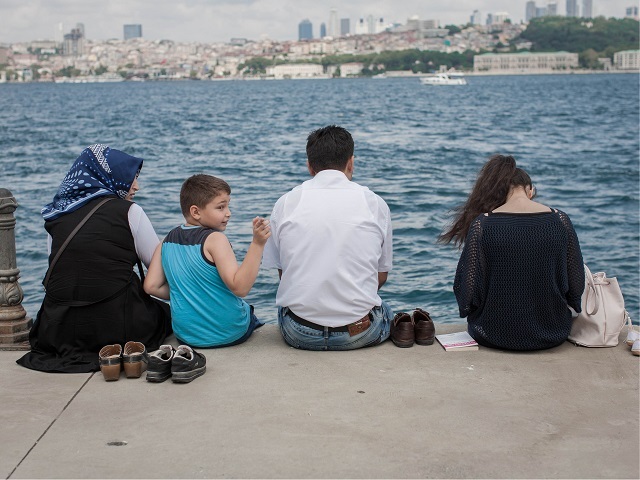 A family sits by the water in Istanbul, Turkey. Photo by Benoit Colin/WRI. A lot happened this year. Despite the diverse range of stories we covered, a few trends emerge that catch our eye. This year on TheCityFix, cities safer by design, bicycles, and compact urban development were some of our top themes that really caught on with our readers. Today, we look back at the five stories that YOU—our readers—loved most this year. In addition to the necessary infrastructure, a strong bike culture is invaluable for building sustainable, healthy, and equitable cities full of cyclists. Fresh from the fourth World Bicycle Forum, transport expert Dario Hidalgo captured the excitement, spirit, and buzz of the bike activists who met in Medellín, Colombia back in February to discuss the role of cycling to spur widespread change in cities worldwide. 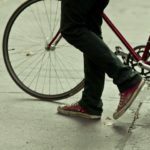 Reversing auto-centric urban development and getting people back on the bike will require a comprehensive approach, including inclusive public programs, national bicycle policies, and funding for bike facilities. In the United States, sprawled cities directly burden residents with $625 billion in extra costs and burden the government with an extra $400 billion each year in public costs. 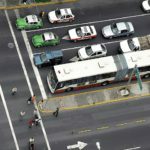 These findings, released this year in a report by the New Climate Economy, demonstrate just how much sprawl harms our communities, as air pollution leads to additional health costs and dispersed development requires greater spending on infrastructure, public services, and transportation. Instead, decision makers should prioritize smart growth cities, which have well-defined boundaries, diverse housing options, mixed-used neighborhoods, and accessible public transit. 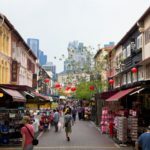 With 90 percent of urban growth between now and 2050 projected to take place in emerging economies, the potential for acting now at a global scale is tremendous. 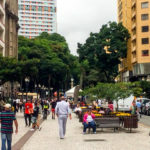 A contribution from TheCityFix Brasil, this visually-engaging snapshot at what makes a good sidewalk shows that we can often improve the walkability of our communities with just a small intervention. These urban design interventions may not look like much on their own, but put together, they can completely transform a street into a human-centric place. 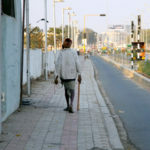 Although sidewalks are frequently overlooked for shinier forms of transport infrastructure—like bus rapid transit (BRT) and light rail—they are an indispensable element of safe and healthy cities. Read more to learn about the eight principles of the sidewalk. With fewer than 1.5 deaths per 100,000 residents, Stockholm and Tokyo have the lowest traffic fatality rates in the world. Meanwhile, Atlanta has six times as many deaths, with 9 fatalities per 100,000 residents. What’s the difference between these cities? The answer has a lot to do with urban design. A practical guide released this year by WRI Ross Center for Sustainable Cities for designing cities for safety, Cities Safer by Design lays out seven principles that decision makers, planers, and designers should use to reduce unnecessary traffic fatalities and improve safety. Some of the principles—like avoiding urban sprawl—involve a more macro-level strategy, whereas some—like slowing down road traffic—can be applied at the micro-level: the street. Land-use planning and zoning are the main tools that cities can use to increase density and deliver high quality services. For example, land-use planning helps direct development, while zoning laws specifically determine how different areas of land may be used. In the absence of these laws and incentives, many developers would build outside and on the periphery of the city, where construction is often less expensive. Mona Qureshi and urban development expert Robin King take a look how decision makers can use three tools—density bonuses, inclusionary zoning, and land assembly and graduated density zoning—to increase density and avoid sprawl. They note that while moving away from single-use zoning is essential, engaging the public in a cooperative, participatory process is critical to ensuring that zoning regulations actually address the needs and benefit all residents. This week on TheCityFix, we’re taking a look back at all that happened in 2015. Click here to check out 5 conversations we had this year with the world’s top urban experts and leaders and here to learn about 3 series that took a deep look at some of our pressing urban issues.